க்ரியா இணையதளத்தின் இப்பகுதியில் தற்காலத் தமிழின் தன்மையைப் புரிந்துகொள்வதற்கும், தற்காலத் தமிழைக் கையாளுவதற்கும் உதவும் தகவல்கள், கட்டுரைகள் போன்றவை தரப்பட்டுள்ளன. This is part one of a video about one of the few languages in the world besides Greek that is both classical and modern. Spoken by nearly 80 million people, mainly in native Tamilnadu, South India, Tamil has a literary continuity of over 2000 years. 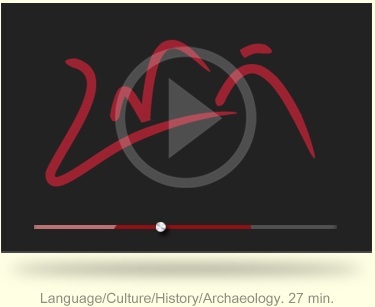 Here we get a glimpse of the first 800 years of its known history - through geography and landscape, archaeology and literary history, and classical and folk performances. The video is produced by M.V. Bhaskar and co-directed with K.T. Gandhirajan, with advice from Dr. E. Annamalai, former Director of the Central Institute of Indian Languages and former Visiting Professor Emeritus, Yale. Click here to view video. This online archive of the mural paintings of Tamilnadu presents photographs from several locations. The digital assets of the archive are made available in phases. 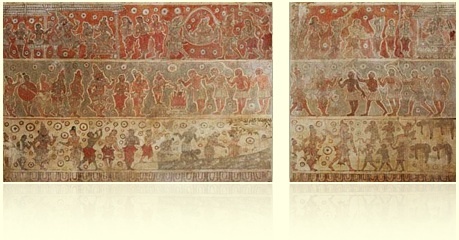 In Phase 1, Tiruppudaimarudur and Alagar Kovil are covered in good detail; the paintings are annotated and the texts translated and interpreted. Over a period, the other locations will receive equal depth of coverage. Visit the archive. ஆசிரியர்/மூலம்: டாக்டர் இ. அண்ணாமலை மற்றும் அகராதிக் குழு. Author/Source: Dr. E. Annamalai and the Cre-A: Dictionary Team. தற்காலத் தமிழில் உரையாடலையும் பேச்சுத் தமிழில் விவரணையையும் எழுதும்போது எதிர்கொள்ளும் பிரச்சினைகளுக்குச் சில தீர்வுகளை முன்வைக்கிறது இந்தக் கட்டுரை.